Where Are They Now? | This blog is affiliated with the Cedar Bend Humane Society in Waterloo, Iowa to share pet-friendly resources, adoption stories, and CBHS events. For many people, retirement means moving from Iowa to Florida. It’s the reverse for Pops. This approximately nine-year-old black lab came from Florida and is spending his retirement in the Hawkeye State. Pops lives at Western Home Communities’ Thalman Square. It’s a home-like environment specifically for residents who are memory challenged. The residents love having Pops around, and many of the residents share stories of their former pets. Pops is especially close to Forrest who is 98 years old. The two moved into Thalman Square around the same time. Pops came to Iowa from Florida in February. He was one of seven dogs that arrived at the Cedar Bend Humane Society after being surrendered to the ASPCA from a former dog rescue that lacked the resources to properly care for its animals. Now, this senior dog spends his days relaxing on the couch and sleeping on the floor. He even has his own room with his name on the door. He isn’t lacking for attention, and he gets to spend time outside in this fenced in patio. We think Pops knows he’s one lucky pooch to get to live here at Thalman Square. Pops has no complaints about retiring in Cedar Falls, Iowa. 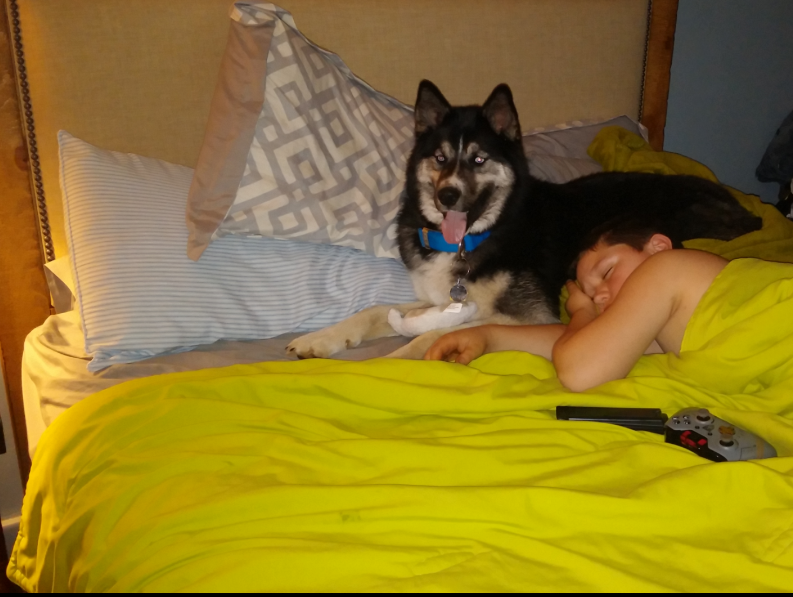 Here is part of an email update we received on Bear, a husky recently adopted. 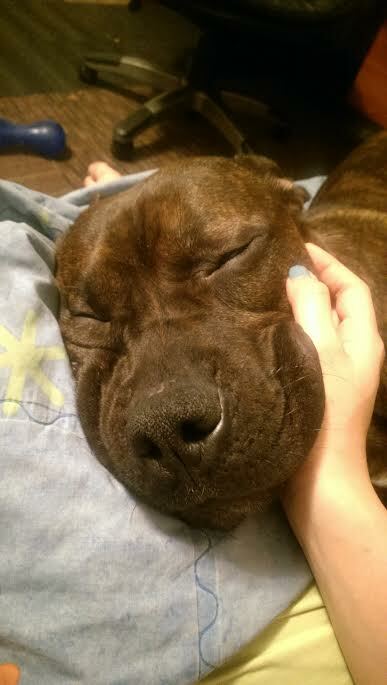 We are so happy to see Bear is doing great in his new home! 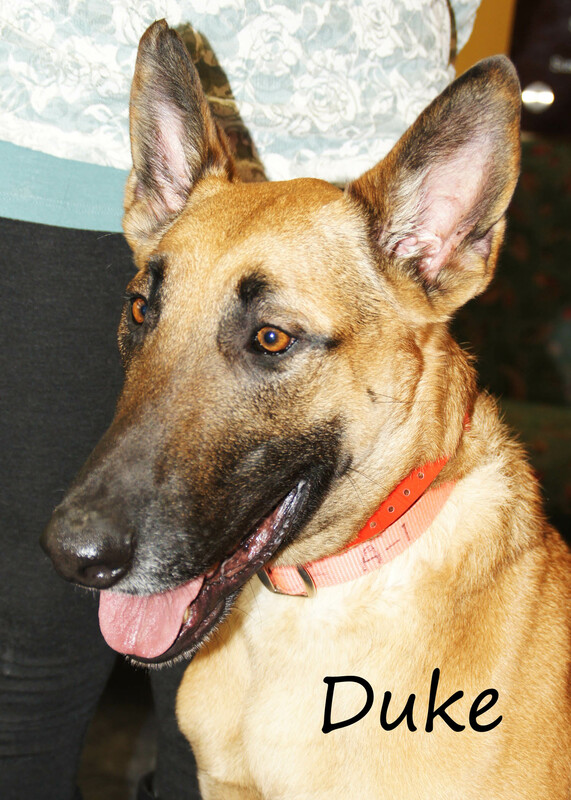 Duke was one of seven dogs that arrived at the Cedar Bend Humane Society in early February from Florida. The dogs were surrendered to the ASPCA (American Society for the Prevention of Cruelty to Animals) in October from Sabbath Memorial Dog Rescue Center in Okeechobee, Florida after a lack of sufficient resources and proper care led to the deterioration of the center and the conditions of the dogs. After receiving months of medical care and behavioral enrichment from the ASPCA at a temporary shelter, the dogs were sent to partner agencies to be placed up for adoption. The Cedar Bend Humane Society was one of 13 organizations partnering with the ASPCA to help place the dogs into loving homes. 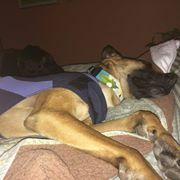 Duke is an amazing dog, but he was very stressed out after everything he’d gone through. He was even on some anti-anxiety medication. Thankfully, Heidi and Brian Fereday also saw that Duke was a great dog. We were so excited to see Duke go home with them! Duke’s name is now Ron Jon, in honor of his Florida roots. He’s adjusting well in his new home, which includes sleeping on the furniture and going on hikes. 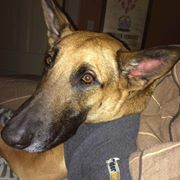 Thanks to Heidi and Brian for adopting Duke, and for sharing updates with us! Here’s another update on one of our furry friends! 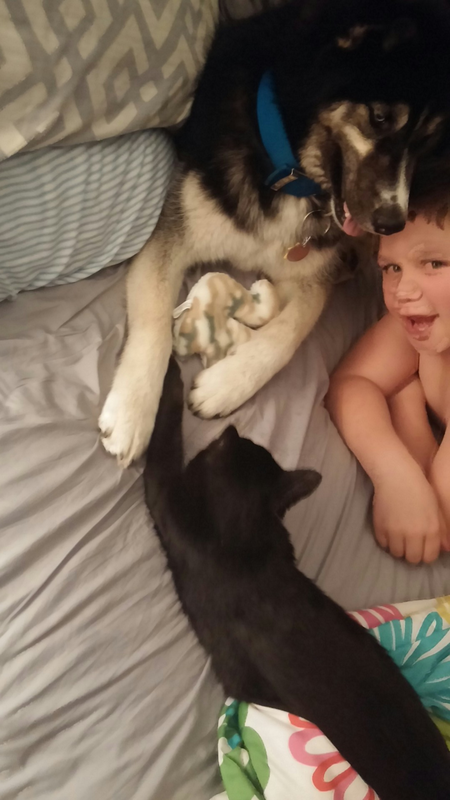 See how Luigi is doing after being adopted from the Cedar Bend Humane Society. With four daughters, two dogs, and a cat… there’s rarely a dull moment in the Lamphier house, but Luigi doesn’t mind the excitement. 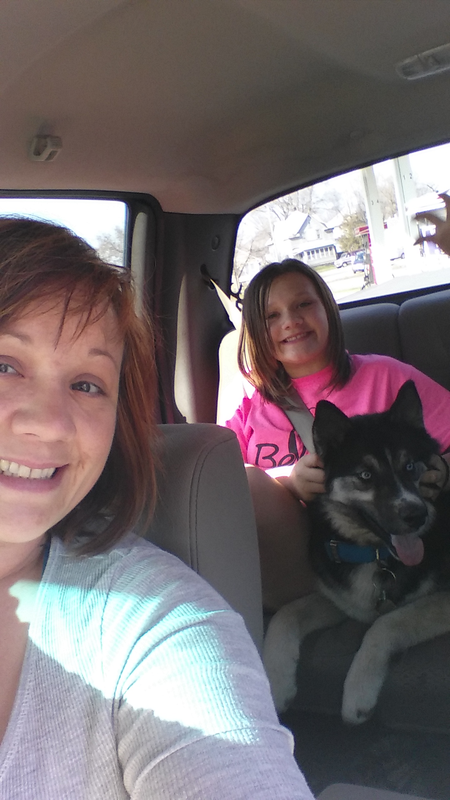 Bobbi Jo Lamphier adopted Luigi from the Cedar Bend Humane Society in October 2014. Luigi adjusted quickly to life in his new home in Alpha in Fayette County. One of Luigi’s favorite things to do now is sit in this chair with Paul Lamphier. 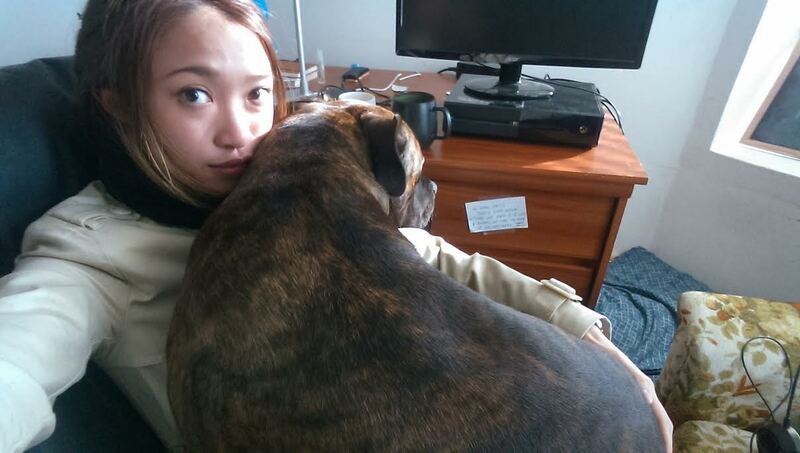 He loves to cuddle, and he clearly thinks he’s a lap dog! 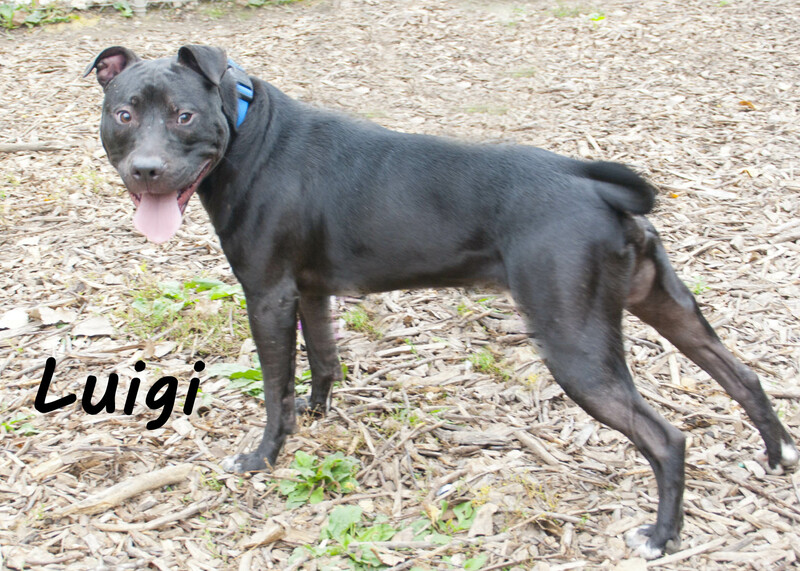 Luigi originally came to Iowa as part of a partnership with the ASPCA. Bruce Earnest works for the ASPCA, and it was obvious Luigi remembered Bruce and was very happy to see him! This is definitely one of the perks of the job, seeing great animals end up in great homes. Luigi loves to lick leftover food off of little fingers, he can rollover, and he doesn’t mind getting his fur brushed. Luigi is never lacking for attention, and he doesn’t even mind sharing some of the attention with the family’s other dog, Pawn, or the cat, Midnight. Yes, it’s a full house. But it’s a happy house! Thanks to the Lamphiers for giving Luigi a fun and a loving place to call home. The Cedar Bend Humane Society is happy to announce a partnership with a rescue in Colorado. 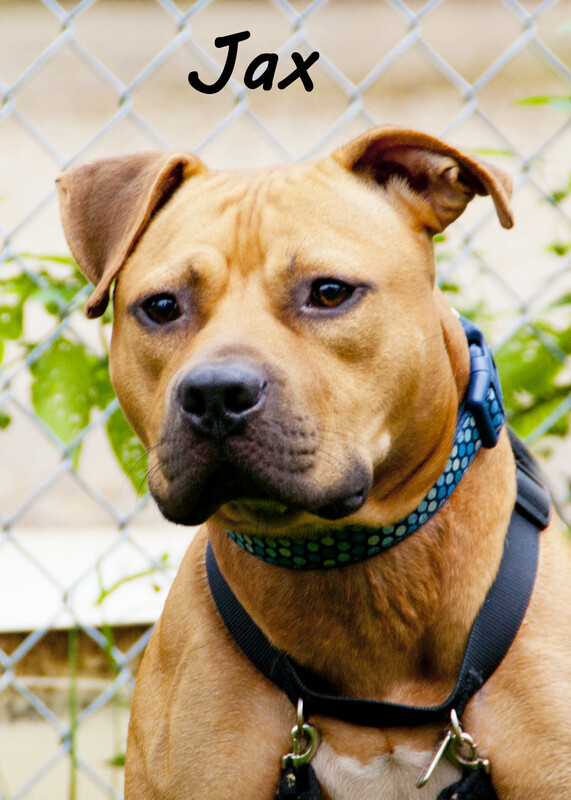 Jax is a two-year-old dog who has been on our adoption floor since September 2014. 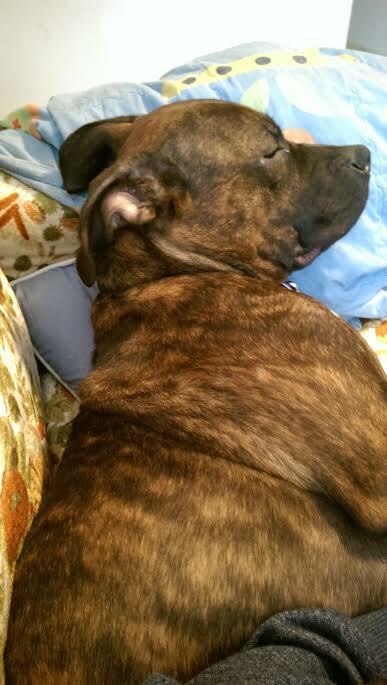 We feel Jax needs extra behavior training before he goes to someone’s home. 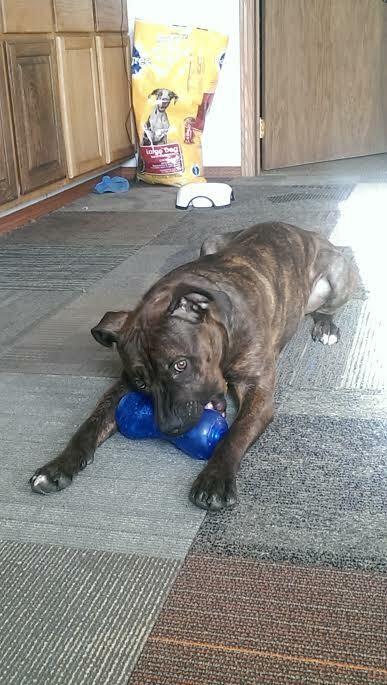 We want to thank the Longmont Humane Society for accepting Jax into a behavior program! Longmont’s facility has the resources to be able to offer daily, hands on behavior training to help Jax gain confidence and to improve his overall social skills before he can be placed in an adoptive home. Jax left us for his new adventure on Wednesday, January 14th with a member of the ASPCA team. The ASPCA very graciously assisted in securing this additional training and the transportation to Longmont, Colorado. 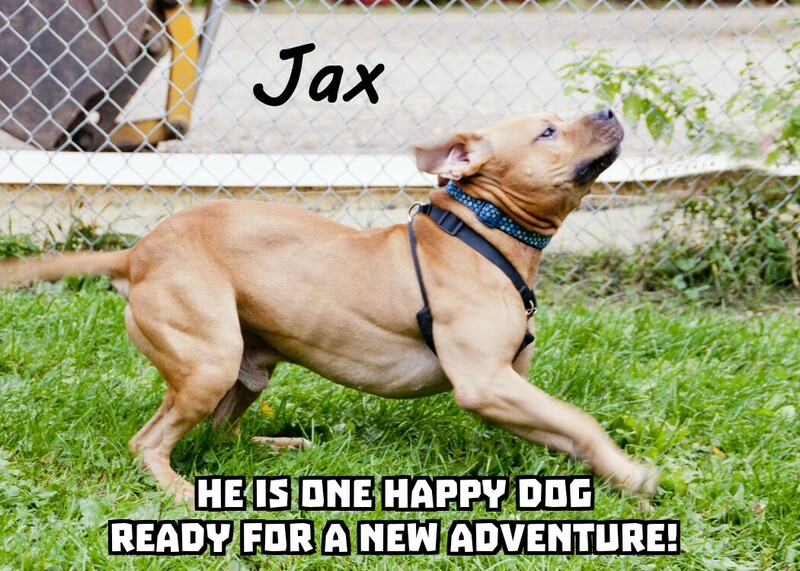 We are very excited to see Jax receiving this great opportunity, and we are thankful for the partnerships of both Longmont Humane Society and the ASPCA! We love getting updates on pets! Tele (now Pascal) is a great dog, but he didn’t do well in the shelter environment. He was easily stressed out. We all really wanted to find a good home for him as soon as possible so he could have a less stressful life. We knew he would do great in a home! 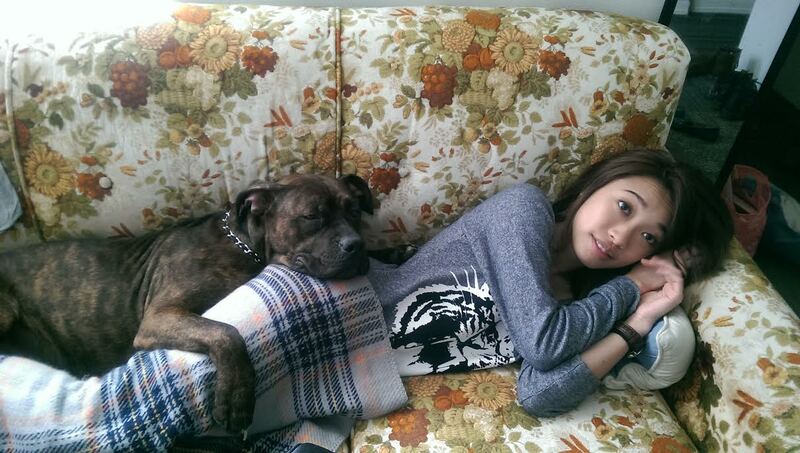 Song Duong visited our adoption center last October, we showed her Tele, and she decided to foster him. Thankfully, Song decided to formally adopt Tele/Pascal after a couple weeks! 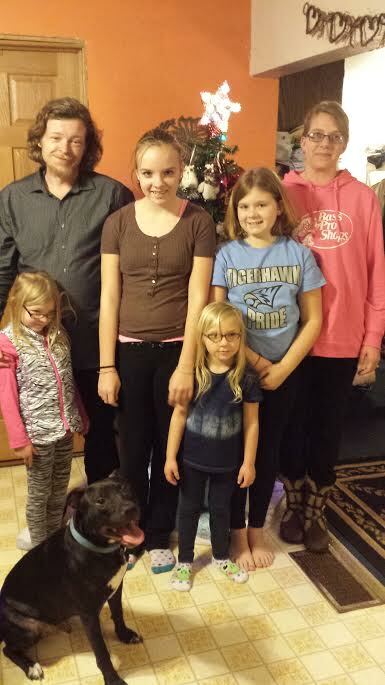 We are so thankful Pascal is in a good home! 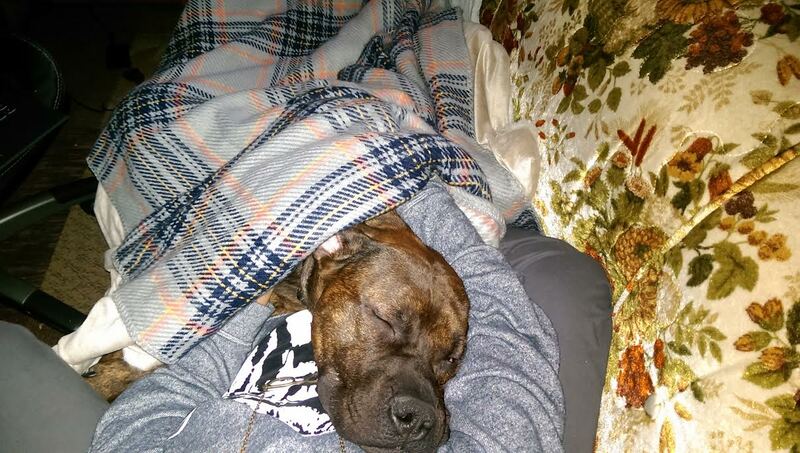 “He copes better with the cold now that he got bigger. He loves fuzzy toys so I have been buying him some fuzzy animal toys, I also sacrificed some used slippers for the sake of his teeth. He never chewed up anything I didn’t tell him to chew on, though, and there was never any food or toy aggression. He drops it when I tell him to. He never stops running at the dog park. Walks are getting shorter because of the cold (he hates it more than I do), so I teach him some tricks or do some indoor activities like hide and seek to drain his energy. 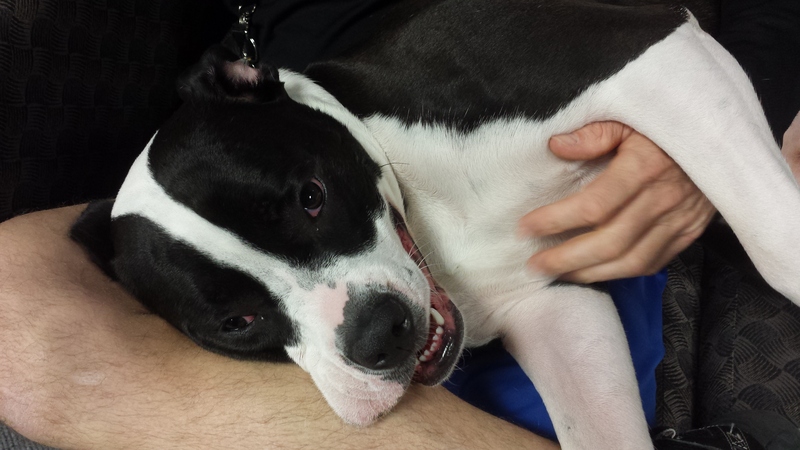 Find out how Laila (formerly Tremble) is doing as the mascot for Fighterbody Fitness in Waterloo! Click here to watch her “Where Are They Now?” feature. From shelter dog to fitness dog. 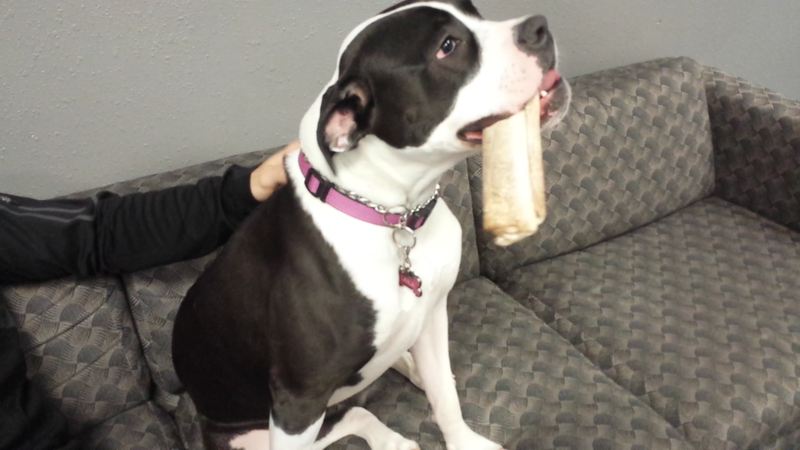 Laila is loving life as the mascot and greeter for Fighterbody Fitness in Waterloo. 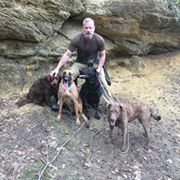 Fighterbody Fitness Owner, Michael Powell, and his girlfriend Valerie Hoy adopted Laila from the Cedar Bend Humane Society in March 2013 when she was about four months old. Laila is a black and white pit bull and lab mix. Fighterbody specializes in kickboxing, which is why Laila is named for famous female boxer Laila Ali. She takes her job as greeter very seriously, making sure to get some extra attention from each client at Fighterbody Fitness. She loves running on the mats in between classes, but during class – she patiently waits and watches from the office window. Laila loves cuddling and she loves sitting (and sleeping on chairs). She likes to squeeze into places that might be a little small… but she’ll crawl out from under the couch for some ice cubes. Quite honestly, Laila has it made. She goes to work every day, and she’s rarely alone. “She’s usually with us all day long,” said Michael Powell. From shelter dog to spoiled dog. We’re happy you found a great home at Fighterbody Fitness, Laila!